WAS $35,777, FUEL EFFICIENT 21 MPG Hwy/15 MPG City! CARFAX 1-Owner. Heated/Cooled Leather Seats, Satellite Radio, Premium Sound System AND MORE! Leather Seats, 4x4, Heated Driver Seat, Cooled Driver Seat, Back-Up Camera, Premium Sound System, Satellite Radio, iPod/MP3 Input, Onboard Communications System, Trailer Hitch, Chrome Wheels, Dual Zone A/C, Heated Seats, Heated Leather Seats, Heated/Cooled Seats Ram Laramie with Bright White Clearcoat exterior and Black interior features a 8 Cylinder Engine with 305 HP at 6400 RPM*. ENGINE: 5.7L V8 HEMI MDS VVT Electronically Controlled Throttle, Hemi Badge, Dual Rear Exhaust w/Bright Tips, Next Generation Engine Controller, Heavy Duty Engine Cooling, Heavy Duty Transmission Oil Cooler, Engine Oil Heat Exchanger, TRANSMISSION: 8-SPEED AUTOMATIC (8HP70) 17" Aluminum Spare Wheel. MP3 Player, Keyless Entry, Privacy Glass, Steering Wheel Controls, Child Safety Locks. Edmunds.com's review says "Regardless of trim level, the Ram 1500's interior is one of our favorites in the segment. Seat comfort is excellent, especially for long road trips, with soft padding and adequate support in the right places.". Pricing analysis performed on 11/2/2018. Horsepower calculations based on trim engine configuration. Fuel economy calculations based on original manufacturer data for trim engine configuration. Please confirm the accuracy of the included equipment by calling us prior to purchase. 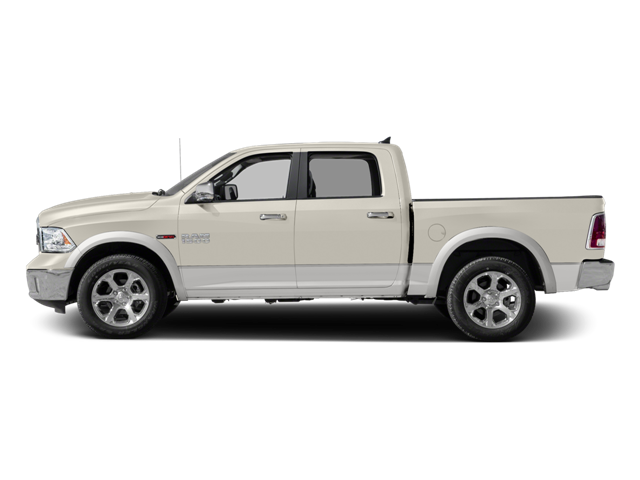 Hello, I would like more information about the 2017 Ram 1500, stock# B5235. Hello, I would like to see more pictures of the 2017 Ram 1500, stock# B5235.